We’ve made you wait long enough to find out more about the tasty wines and cheeses that we purchased during our trip to Erie, PA. (http://mferraro73.tumblr.com/post/125553865268/wine-and-cheese-tastingin-pennsylvania-we) It was such a fun night with 6 of us tasting wines, cheeses, and chocolate. 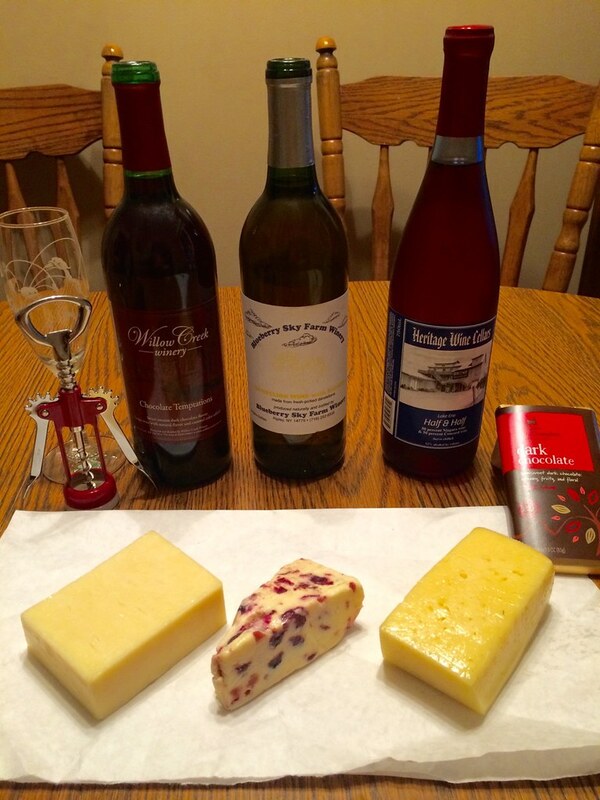 When we came up with this idea with Neil’s family, everyone was excited to do some pairing so we ended up with 3 wines, 3 cheeses and chocolate. We didn’t quite have a formal pairing of everything by everyone but instead we let Neil’s Aunt Kathy, Uncle Gale, Cousin Diane and her husband Brian know how to proceed with the tastings. We like to take our time with tasting and then shout out any descriptions or adjectives to describe the wines and cheeses. This made it a little tricky for me to compile all the notes as well as do my own sampling but here’s what we discovered. Neil and I purchased this wine at Heritage Wine Cellars (http://heritagewine.biz) because it was slightly sweet and had a nice lingering finish. It seemed like the right wine for this crowd. 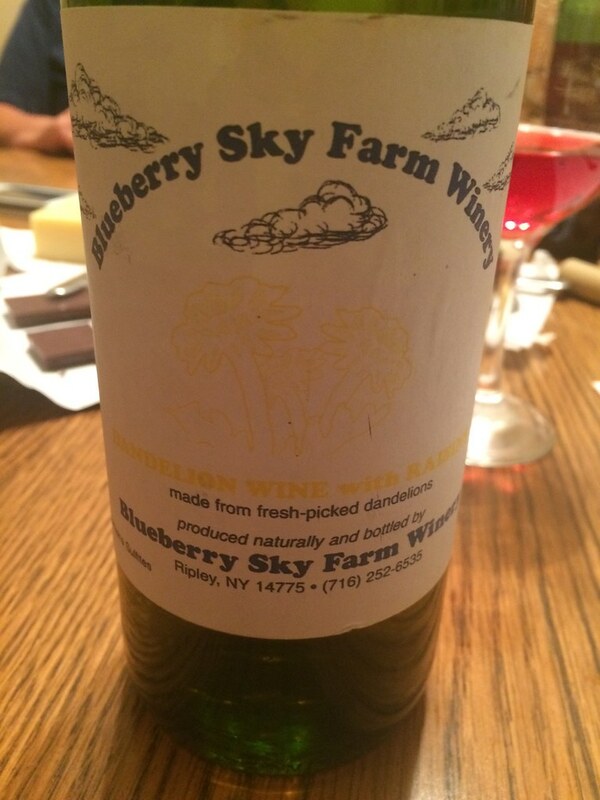 I mentioned, when we were tasting it, that the flavor reminded me of a strawberry hard candy. Aunt Kathy, totally agreed. 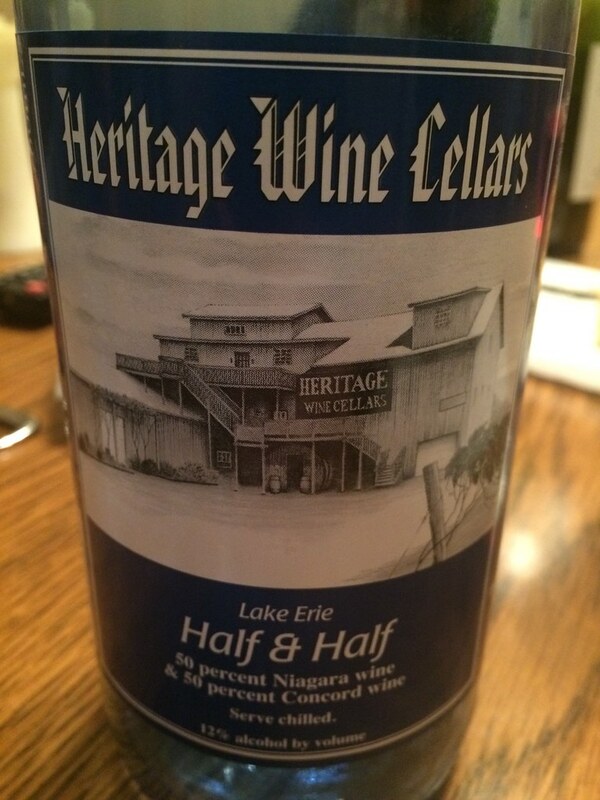 Uncle Gale simply stated that “He likes that Half and Half!” Diane thought the Niagara and Concord grapes worked really well together, balancing each other out. Neil found the flavor to remind him of a cherry jolly rancher and Diane also noticed the cherry. This blush wine was definitely soft, smooth and very easy to drink. Needless to say, we finished this bottle off before the end of the night. Diane and Brian brought this wine because it would be something we would not typically find. After the first sip, the group thought it would be a good drink to have in the winter after you go hunting. Why do you ask? Well because it was high in alcohol and you felt warm after drinking it. There were some distinct flavors too though. Brian was the expert on this wine so he pointed out that it smells like honey, you can taste the oak barrel in the finish and it had an explosion of flavor. The color was amber and it smelled like raisins and Sauternes to me. Neil tasted this wine right after having a sip of Half and Half and found a butterscotch flavor. That’s a cool reaction! But this wine wasn’t for everyone, Aunt Kathy said “It’s not for me” and Uncle Gale responded with “This wine will knock you down”. A few of us did enjoy the flavor of honey and it even seemed like a liquor or port wine. Diane brought this wine too because who can resist a “Chocolate Temptation”? The funny thing about this wine was that Brian noticed that it tasted like a Tootsie Roll and after that we couldn’t figure out any other flavors. 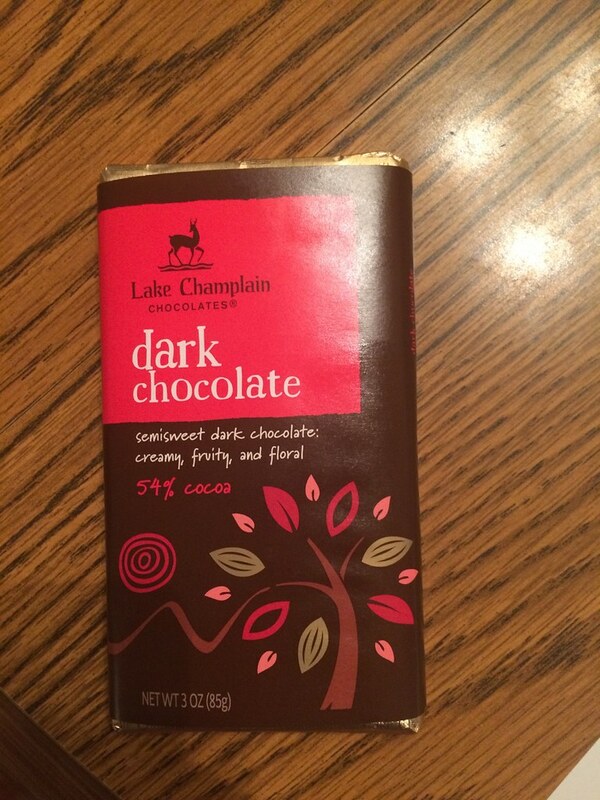 Aunt Kathy didn’t find it to be overbearingly sweet but it did taste like chocolate. Diane said it reminded her of dessert and she Loved it! Neil enjoyed smelling the wine and added to our Tootsie Roll idea by saying it was more like a grape Tootsie Roll lollipop. I couldn’t believe what a great description that was! We bought this cheese at Cadwell’s Cheese House (https://www.facebook.com/cadwells.cheese?pnref=lhc) because we wanted a local cheese. Although it was not made in that building it was from the state so I’ll take it! Neil was the only one who described the cheese aroma, he found it to be slightly salty. I described the texture as sticky and spongy, and thought it coated my tongue. Aunt Kathy, Diane and Neil all noticed the smoothness of the cheese. Neil also pointed out a hint of an earthy flavor. In the end, there was no disputing that this was an excellent cheese. So glad we chose it! Neil and I have tried Wensleydale cheese with Cranberry before and loved it, so we couldn’t resist the chance to share it with the family. As I smelled the cheese, I picked up a salty aroma. The texture was a hot topic for this cheese too. Brian thought it was gritty, which he wasn’t expecting. Diane said the texture was “ different” and not smooth. I thought the flavor reminded me of cheesecake and Aunt Kathy said it was better than fruit cake! She would love to have it again during the holidays. She did also comment that you don’t really taste the cheese much, just fruit. Neil agreed with this by saying the cheese was mild with a sweet cranberry flavor. Aunt Kathy and I liked it so much, that we didn’t hesitate to finish off the entire wedge. I chose this final cheese from Cadwell’s cheese house because of the way that it coated my tongue during the tasting. This is usually a good indicator of how the wine will interact with it during a pairing. It seems all the cheeses had a consistent salty aroma. Aunt Kathy didn’t like this cheese as much as the others but Diane thought it had a good flavor. Neil described the flavor as salty and it reminded him of hay. Brian thought the cheese had a heavy texture but Diane said it was very soft and Neil said it was medium soft. I found it to be milky and creamy. I guess the jury is still out on the texture. Guess we’ll see how it does in the pairings. When Aunt Kathy tasted the chocolate, she enjoyed the creamy texture and that it wasn’t very bitter. Diane felt the flavor was very rich in cocoa. Brian and I focused on the texture of the chocolate describing it as both dense and silky smooth. Not much for descriptions but of course, wine and Chocolate are always nice together and we finished the bar before the night was over. After all the initial tastings, everyone created pairings of their favorite wines, cheeses and chocolate. This next section will be broken down by wine. It’s no surprise that the Half and Half wine was paired with all three of the cheeses! First the Half and Half was paired with the Sharp Cheddar. Neil noticed a yogurt parfait flavor to appear from this combination. Then there was a split decision, Uncle Gale liked the pairing and Aunt Kathy didn’t. Next up was the pairing of Half and Half with Cranberry Wensleydale. Aunt Kathy created this combination and thought it would be great during the holidays! She thought it blended well together and that the cranberry complements the sweetness of the wine. I chose to pair the Half and Half with the Havarti and mainly picked out changes in the cheese. The flavor became more salty and the texture seemed both smooth and sticky. I was curious how the pairing would be since the Havarti cheese had coated my tongue during the tasting. After this pairing, I’d say it was a bit of a strange reaction. Overall the pairing of Half and Half with the cranberry Wensleydale seemed to be the one with the glowing recommendation. Too bad we finished off the bottle of wine and the cheese before we could all try it. Oh well there’s always next time! Brian suggested that I pair the Dandelion wine with the Sharp Cheddar. I found the wine to have more of a honey flavor, a tanginess on my tongue and a noticeable flavor of alcohol in the finish. Nobody else paired the Dandelion wine but it was still a cool experience to try such a unique wine. It probably would be a better wine to taste in those cold Pennsylvania winters! 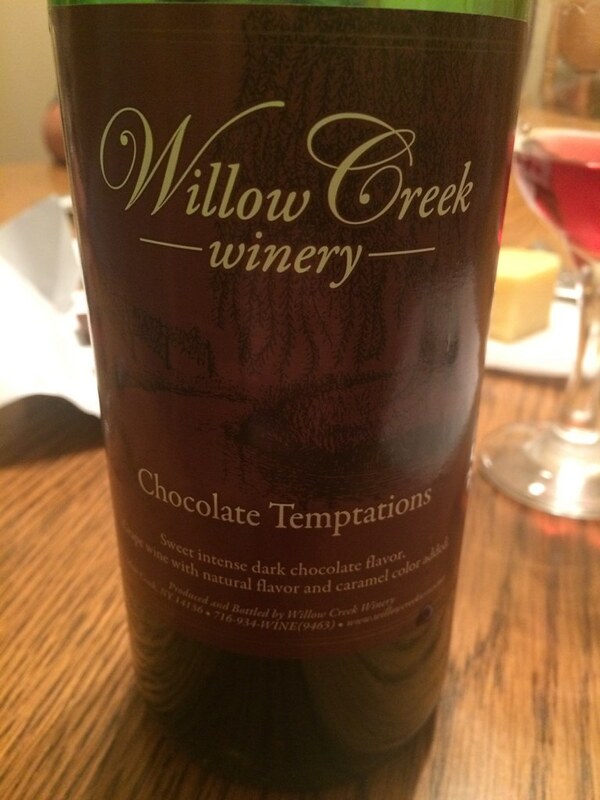 We finished out the wine pairings with the Chocolate Temptations wine. Diane was the only one that tried this wine with cheese. When she paired the wine with the Havarti, a creamy chocolate flavor appeared. She described it as a good pairing. This seems like a much better reaction than the pairing of Half and Half with Havarti. After all of us described the Chocolate Temptation wine as a Tootsie Roll, I think we were really curious to see how the pairing would be with the chocolate? Diane liked this wine so much that she couldn’t resist trying the chocolate pairing too. She thought the wine became more tangy and I found the flavor of the wine to be more fruity. Brian said the alcohol in the wine increased. Chocolate wine isn’t for everyone but it seemed to work out well either by itself as a dessert or with some nice chocolate. Remember Diane even liked it with cheese, that’s why pairings can be so fun, some unexpected things can happen! When Neil and I suggested we have a WineAndCheeseFriday party with his family, we had no idea how much everyone would get into it! At the end of the night, Diane and Brian were already planning which wines and cheeses they would pair with their friends. I would probably suggest less wines and cheeses or more note takers. They said they’d even come in as guest bloggers, how fun! I can’t wait to see what they come up with.